Karun, a junior, is interested in the application of technology in a variety of industries, primarily in healthcare. He hopes to leverage his skillset in biomedical engineering and computer science to improve the efficiency of the healthcare, passing on the savings to patients. He has gained experience in medical device innovation by leading the development of a needle integrated ultrasound probe at Accuo. His work has helped develop the image construction software as well as raise over $150,000 in grant funding. He joined A-Level to gain a better understanding of the funding side of entrepreneurship. In the past, Karun has expanded his interest in machine learning during his internship at Oracle Health Sciences. Karun hopes to work in software after graduation to further expand his engineering skillset. 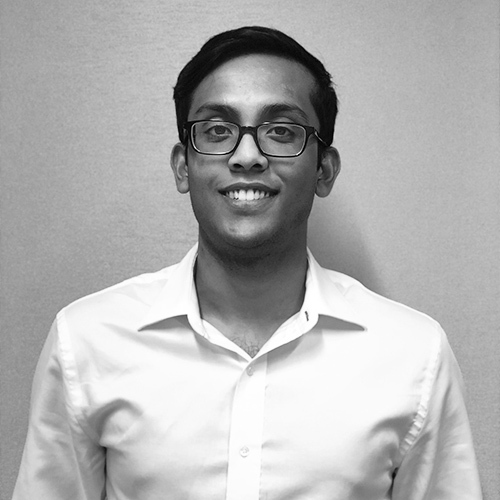 In his spare time, Karun enjoys the outdoors, curates Spotify playlists, and rewatches The Office.